At the end of 2007, a company with a chewing name, came out with a product that, at the time, made little noise. They had spent some time looking at the online photo licensing space and thought the system was upside down. Their idea was that, instead of delivering a file against a flat fee estimated on potential usage, they would instead charge whomever published the image a fee based on actual views. That way, small blogger could use the same image as the New York Times but pay much less, since their traffic is much lower. The technology was simple. Instead of delivering a file, just substitute it for an embed code, a la YouTube. The fee was around .20 cents per thousand views. It didn’t go very far for a few reasons. First, they had to host all the images on their servers. That meant contacting photo agencies and asking them for copies of all their files. Once done, they then had to compete with those agencies in finding clients. They also had to manage expectations. Those same photo agencies were expecting to finally crack open the huge blogger market and reap huge profits. They were deeply disappointed. Finally, bloggers couldn’t care less. Why would they pay a fee, even little, to publish images they had for free ( albeit illegally). Especially if they had to embed them, which is never as easy as just downloading and posting. Paying a fee for extra work all that to be legal ? not worth it. Eventually that company understood they were facing an insurmountable cliff and changed business model. They now stick an ad to images using the adjoining text to figure out the content and hope that the ad and image will match. It doesn’t always work but at least, there is a market for it. No money is distributed to the owner of the images, just the company and the publisher. Fast forward to 2014. 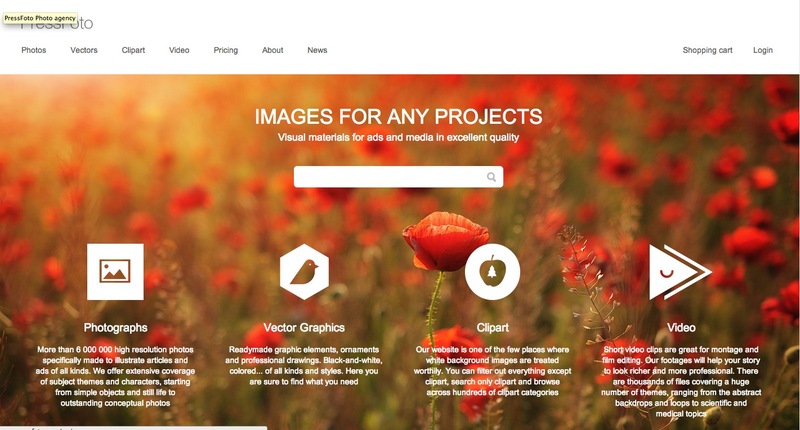 First IMGembed, a tech company issue of DesignTaxi revived the model. 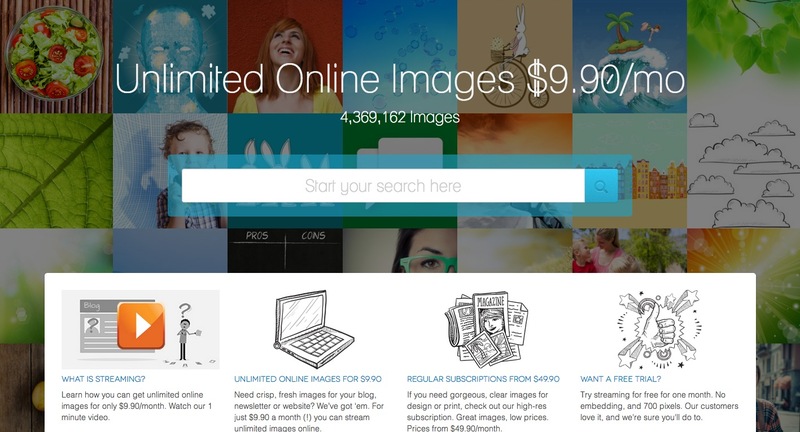 Use legal image for free using an embed with watermark or pay per usage. While they do offer existing collections, they are also open to anyone with photographic talent. In its short existence, it has succeeded in making very positive noise in an industry fed up with stolen images and gathering clients. Images are getting embedded. Since it’s a private company, numbers are not known. Then came YAY Micro out of Scandinavia. The ‘different” microstock company rebranded the concept into “Streaming Service”, which launched on February of 2014. Basically the same concept, except with only their existing collection of images. In other words, if you can’t afford microstock prices, we have even lower with embeddable images ( if you have little traffic). Thing is, if you have little traffic, you probably have little to no money to spend on images. 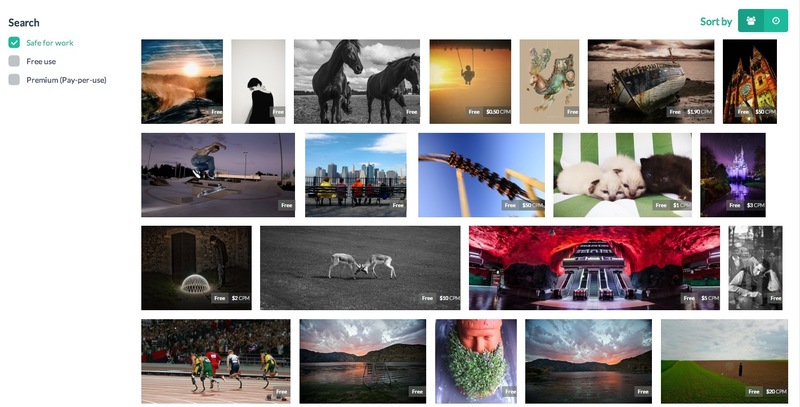 A month later big Getty throws its whole weight into the pound with 35 million images. Free. If you embed them with a Getty logo. Very similar to IMGembed but not option to pay. For now. And today, the Russians from PressFoto announced their own version of the image embed model. Called “Image Rent’, this one comes with editing tool (more work for the user) and text creation. You pay up front until your credit expires as people see the images you published. For a technology that first saw the light of day and then vanished, it’s a healthy revival. While it makes sense for a photo agency to provide it, does it make sense for users ? The frustrating part is that this should have been the only way people licensed images online in the first place. When the market started shifting from print to online, photo agencies and independent photographers mistakenly did not change the way they operated and continued offering large digital files to be posted instead of using this simple technology. In a way, by offering and distributing high res files, they created the demon that is plaguing them today, the “save as” disease. If images had only been embeddable from the start, there would much less stolen image today. Much, much less. So, is it too late? Maybe not. If this explosion of embeddable continues – that is more and more photo licensing companies offer it – users who do not use it will become much more noticeable, putting them in a much more awkward position. In fact, if it becomes an industry standard – finally – bad habits could be tamed. Not that people will not continue to steal images but it would become much more shameful and easier to trace. The issue for now is usability. While it makes perfect sense for someone to embed a video ( not everyone has a video server available), it is still much easier to “save as” an image and repost it. There are no incentives to change besides being legal which is, as we know, not much of an incentive. This will change when those embeddable will offer a strong reason to change. Like added functionalities on the images. Or a revenue share for the publisher. Both where items offered by the now defunct Stipple. In other words, offering embeddable images is not going to be enough. It is the right first steps and those who will be successful in this process will be those that offer their users a strong incentive to use them. Let’s see who it will be and how. gonna be interesting to see how it all shakes out. Pablo Anestesik liked this on Facebook.